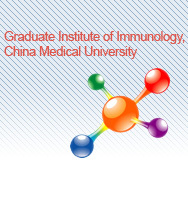 The Graduate Institute of Immunology offers an integrated curriculum that teaches students the current knowledge base in immunology and applied to clinical immunology research. 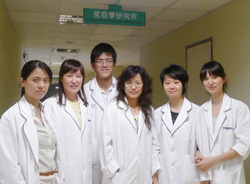 It will also prepare the students to learn skills for oral presentation and writing in medical journals. Also enhances their ability to be independent researchers equipped with the ability to design experiments, to critique scientific data and to solve problems related to research. To establish the Chinese herbs research and advance our understanding of fundamental immunology in disease pathogenesis and therapy. Research being performed by Graduate Institute of Immunology faculty is aimed at determining the molecular basis for stem cell. Particular areas of emphasis in clinically oriented research of faculty in this cancer immunology. The Institute will continue to organized a new medical research teams and educate graduates well qualified to renovate existing education. The facility is well equipped to do basic and clinical immunology research and research space to support its future growth and expansion. The Institute collaborated with other institutes to conduct research and are going to establish a highly reputation in the near future. The Institute will continuous build well-equipped laboratories and initiate a new graduate program designed to train Ph.D. students in 3-5 years. The Institute will help the students to join international conferences to understand outside research area. Our association with the National Health Research Institute aspect our program with facilities and opportunities for development vaccine. Training programs, joint and adjunct members with available in our program.